Some 400 staffers from that flag bearer of the 1980s UK home computing revolution, Acorn, are to gather next month to celebrate the 30th anniversary of the firm's foundation. The original Acorn no longer exists, of course, but the company it ultimately evolved into, ARM, is hosting the gig, which will take place in Cambridge, near to the old company's one-time HQ. Acorn the name wasn't coined until 1979 – the company was formed in 1978 as Cambridge Processor Unit (CPU). Acorn founders Chris Curry and Hermann Hauser are expected to attend and join in a nostalgia-fest for 8-bit micros the Atom, BBC and Electron. The Atom came first, the fifth machine developed by Acorn, but its first commercial success. 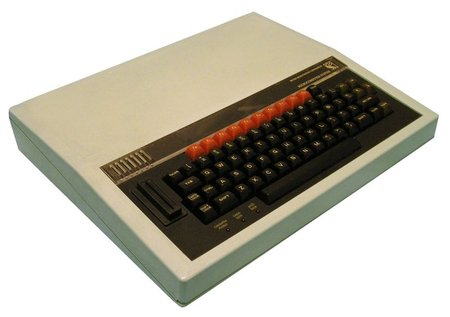 The Atom led to the BBC signing Acorn in the early 1980s to produce a computer that would tie in with the Corporation's computer literacy initiative, and no small number of BBC Micro owners went on to achieve success in the IT field. Still, the Beeb was too pricey for some youngsters, and Acorn responded in 1983 with a cut-down version, the Electron. Unfortunately, Acorn made too few Electrons to meet demand in the crucial Christmas 1983 sales period – although the BBC continued to be a runaway success. Learning from that experience, Curry and Hauser ensured plenty of Electrons were available for punters to buy in time for Christmas 1984. Alas, by then everyone who wanted a home computer had one and the market crashed, leaving Acorn deep in the red. The following February, it was acquired by Italian office equipment maker Olivetti, which held a big stake in the firm until the late 1990s, when it morphed into Element 14. Nine years before, it had spun off ARM to focus on the Risc processor developed for the Archimedes, Acorn's BBC Micro successor. Element 14 would become the same kind of company: a creator of technology to be licensed to others. A set-top box business, created in 1994, was sold to Pace after Element 14 was acquired by Morgan Stanley. Element 14 had a DSP business too, and that, along with the Element 14 name, was bought back off Morgan Stanley by the management. The following year it was swallowed up by Broadcom. Ex-Acorn staffers keen to attend the reunion should visit Acorn Reunited for all the details.